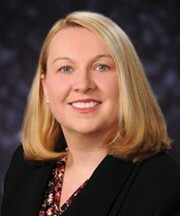 Peggy Geisler currently serves as the Executive Director of the Sussex County Health Promotion Coalition, the organization she helped establish for Nemours Health and Prevention Services in 2006. Peggy’s leadership, along with a committed Board of Directors, has led to this successful grassroots volunteer-based effort that promotes and impacts the health of Sussex County, Delaware residents. 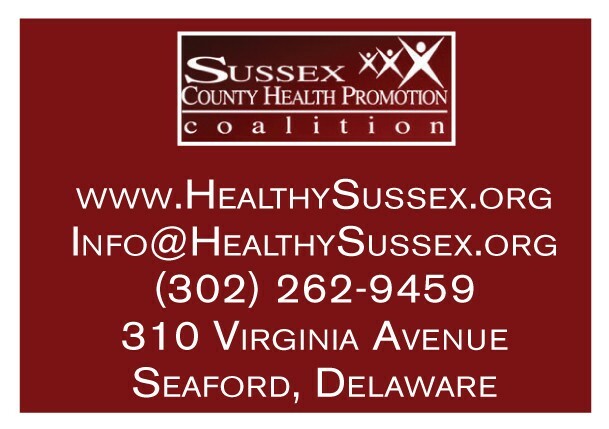 Sussex County Health Promotion Coalition (SCHPC) has over 172 partner organizations and 404 members that strive to address health needs and overcome health barriers within the Sussex County community. The Coalition’s work has been recognized both locally, statewide and nationally. Ten years ago, SCHPC focused primarily on children’s health promotion in Sussex County. After great successes engaging the community in children’s health in the early years, the Coalition set its sights on improving health and wellness for all of Sussex County citizens. There was a need to address health disparities for children, their families, seniors and the greater community. SCHPC expanded to address the needs of these populations and continues to do so today. This year will mark the 10th anniversary of the Sussex County Health Promotion Coalition. SCHPC’s mission is to engage the entire community in collaborative, family focused efforts to improve the health of children, youth and families in Sussex County. The work is done by SCHPC’s active committees that consist of Health, Mental Health Task Group, Early Learning Action Team, Youth Engagement and Serving Committee, Worksite Wellness Committee and Sussex SUCCESS (Supporting Communities through Collaboration, Education and Services). “Sussex County Health Promotion Coalition began as a concept with a small group of members and a few strategic goals and has far exceeded those goals. 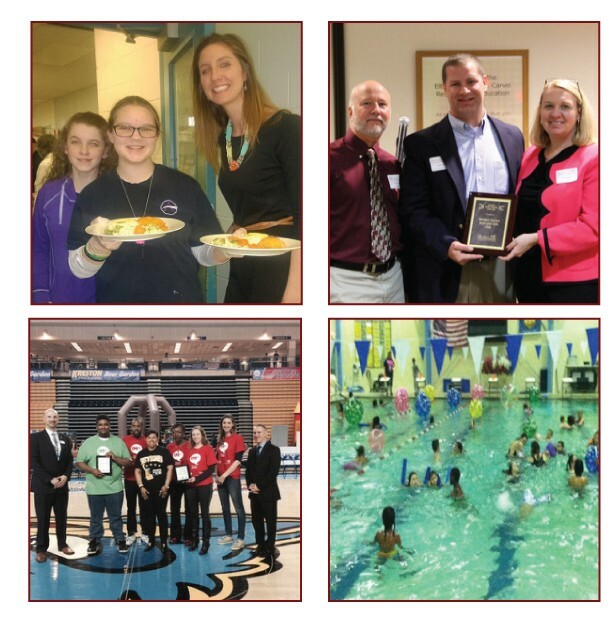 Their accomplishments focus not only on promoting healthy living and systems change, but most importantly fostering connections among community members to encourage a culture of health in Sussex County. We are delighted to have been a part of launching SCHPC, supporting its growth over the past ten years, and are excited about the future of this dynamic coalition and its ability to help Sussex Countians be the healthiest they can be.” Nemours’ Operational Vice President, Mary Kate Mouser, and her team at Nemours Health & Prevention Services, remark on the success of the Coalition over the years. SCHPC is a convener, collaborator and resource generator for the community by hearing of a need voiced by community members or partner organizations, and acting to fulfill that need through coordination of resources already existing, or creating new resources where there are none. The ability to do this is in part through key strategic partners like United Way of Delaware, DE Public Health and NHPS. The Coalition values the engagement of partner organizations and community members as the fabric of everything it does. Partners and partner organizations are selected to be honored annually with the SCHPC Promoting Health Lifestyles Award. Mental Health Access: Specifically for low income youth and their families, the coalition brings together stakeholders monthly to work through preexisting issues such as transportation and arising issues such as: reimbursement and insurance coverage. The Coalition has convened several work groups with stakeholders such as legislators, Department of Health & Social Services and the Kids Department to develop action steps towards fewer barriers to access mental health services. Food Access: Low income, high risk individuals are less likely to have access to healthy food and fresh produce. The Coalition has been working to alleviate the need in Sussex County through our partners who work with these families through Delaware Food Bank mobile food pantries, Mass Food Distributions provided by Walmart Foundation, Expanded Farmers Market opportunities through DE Public Health, and Healthy Community Dinners paired with healthy resource speakers. Youth Programming: Coined as a “Youth Program Desert”, the Coalition is working with organizations in Western Sussex to bolster youth program opportunities with more resources, additional programs and exceptional experiences that will increase youth protective factors. The Western Sussex Boys and Girls Club hosts 150 to 200 teens every Friday night at the Teen TITAN (Teens Inspired to Act Now) Program that now receive multiple program opportunities utilizing Coalition partners such as: Man Up, Unique, Teens In Perspective, La Red Health Center, 4-H and other youth empowerment programs.